Last week I was singing the praises of fishing in September, this week I am scratching my head and thinking, where have the fish gone? To be honest this is localised to Chesil, as many of the other marks are fishing well, but I am really disappointed in the lack of fish from my favourite shingle beach. So if you are wondering why the reports have been a bit sparse recently this is one of the reasons. The other reason is most of us have been away, so hopefully service will be back to normal from now. 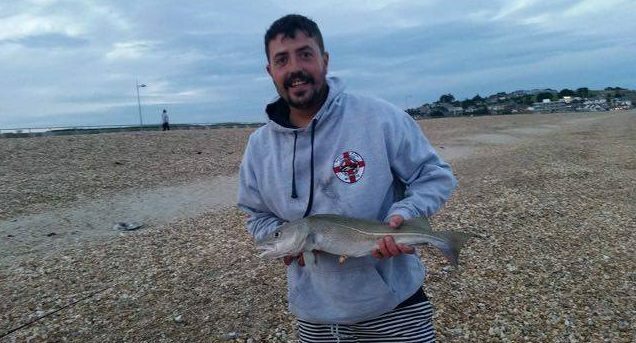 I mentioned that other marks have been fishing well, but I was surprised to get a message from Callum Coleman, with a picture of a Cod that he caught at Preston Beach. 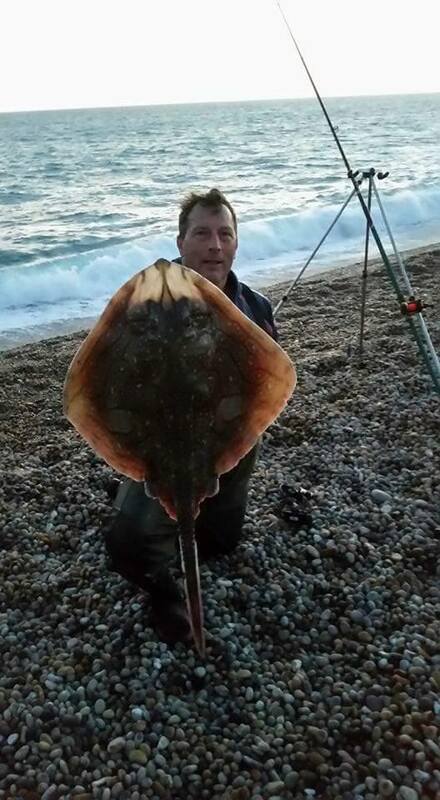 It has not been all doom and gloom on Chesil, as a few mackerel seem to be returning and reports suggest that there are a number of Blonde and Undulate Rays at the Portland end of the beach. Julian Smith had this lovely 12lb 6oz undulate there last weekend. Chesil Beach: 1m swell with clear water. Portland: small swell with clear water. Chesil Beach forecast: I am heading out to see if I can find some Mackerel and garfish on Chesil now. If they are around, it means that the baitfish are back and the fishing may improve again. Expect Rays and Gurnard from all along the Beach, but there does seem to be more towards Ferrybridge. We have some very big tides this weekend, which may herald the first Cod run of the Autumn. However water temperatures are high, so that may keep them away. Portland: A few Pollock are showing at first and last light and there are plenty of Wrasse to keep your rod tip rattling. Portland Harbour: no sign of any Bass in the harbour at the moment, which is very unusual. I fished there yesterday and didn’t even see a Garfish. Once again we need the baitfish. Weymouth Bay: As you seen earlier, you never know what Preston will produce. Apart from the surprise Cod, there have been quite afew Red Mullet and Gurnard. Fishing Tails > All Articles > Reports > Chesil Beach > What is going on? 3 Responses to "What is going on?" Hope you had more luck than me Sean. I fished the landing craft on Thursday early morning and tried bait, feathers and bubble floating for gars. Apart from 2 small scad at about 6:30 a.m. I saw no signs of fish life at all….. I got the lure rods out and did very well. I think thats the best call I have made this year. Fishing on Chesil is dire at the moment John.